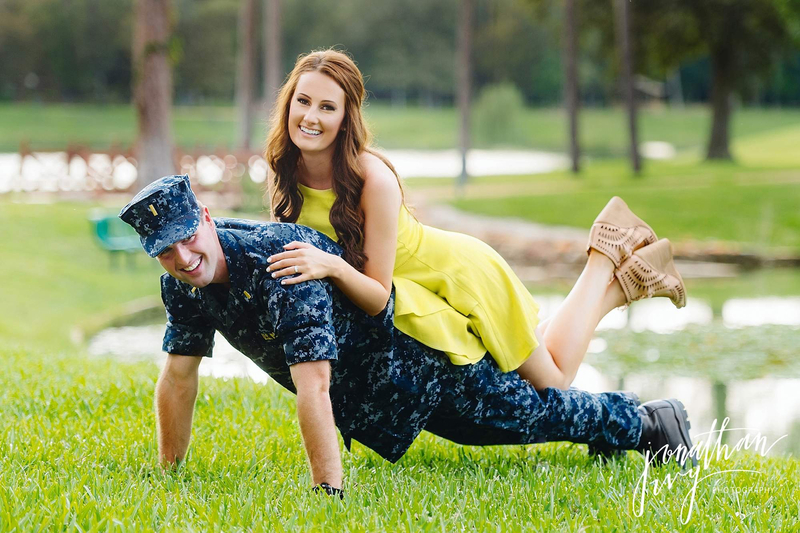 Can I just say I adore this Navy Military Engagement! 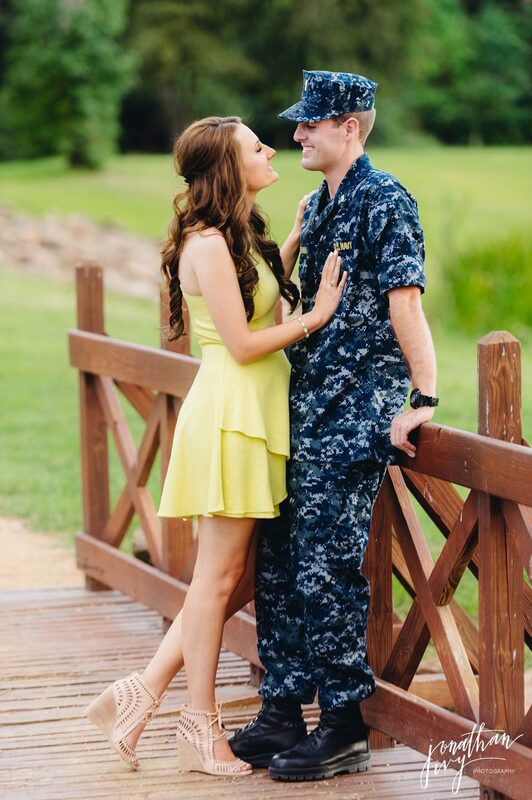 The groom looks so handsome in his uniform and the bride wore the most perfect yellow dress creating a gorgeous color palette in the outfits alone. 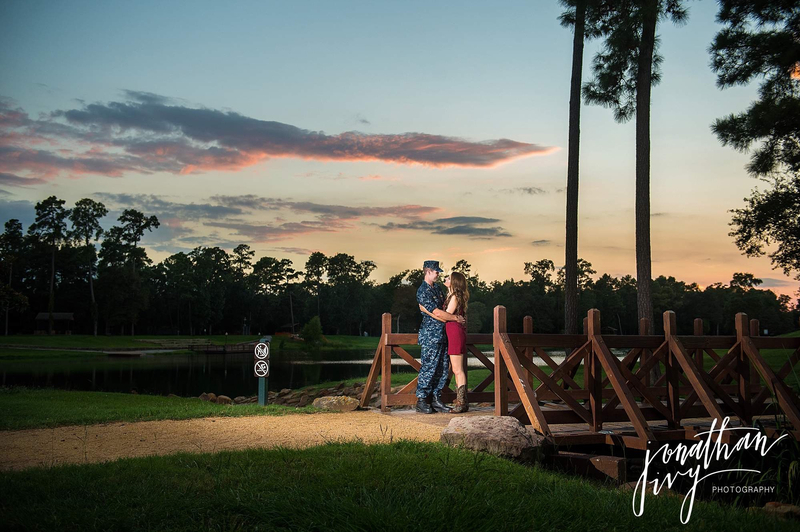 Throw in the beautiful Spring outdoors and you have the perfect military engagement photo shoot. 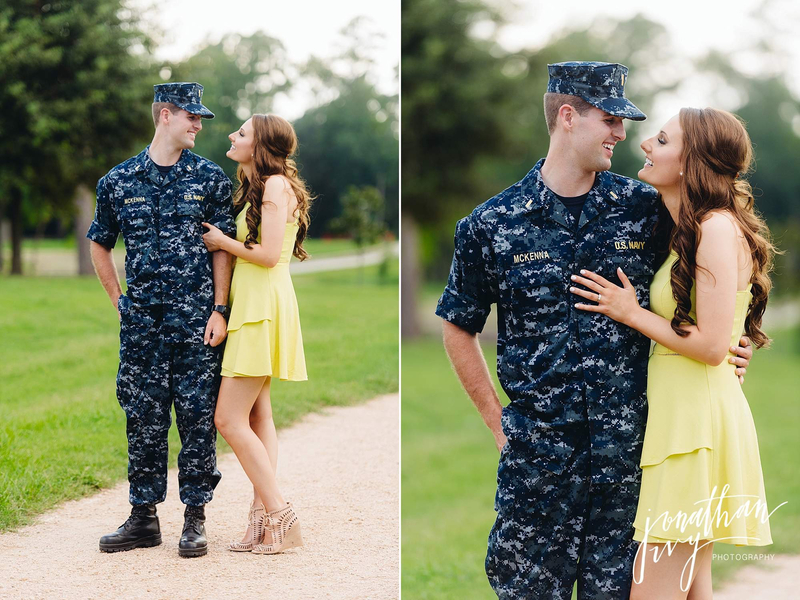 Here are just a few of our favorites from this Navy engagement. I just LOVE this sequence of photos. 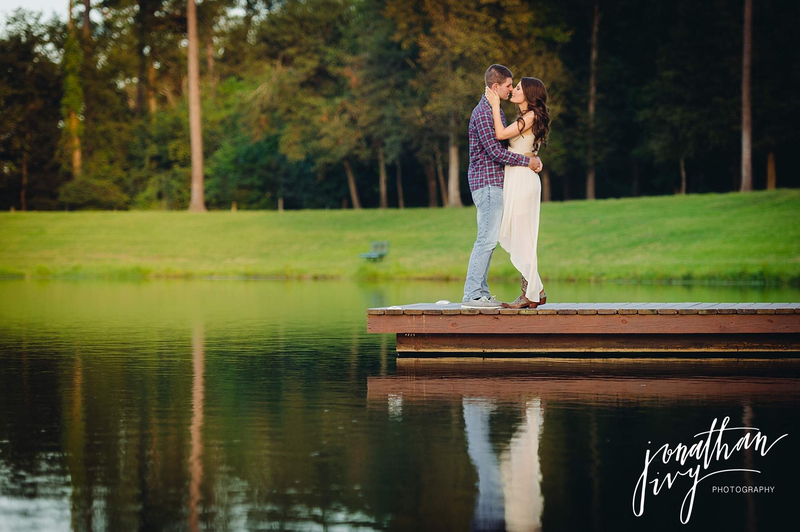 So romantic and so fun! 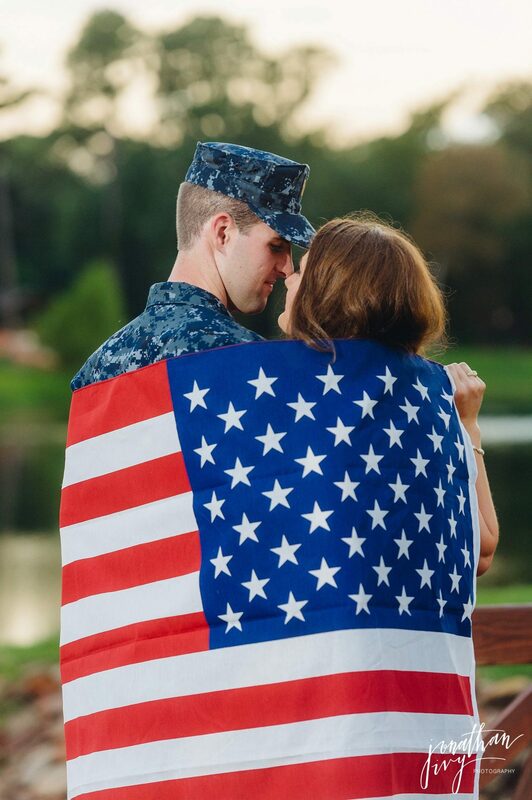 She truly found her hero! The above photo is like a dream. 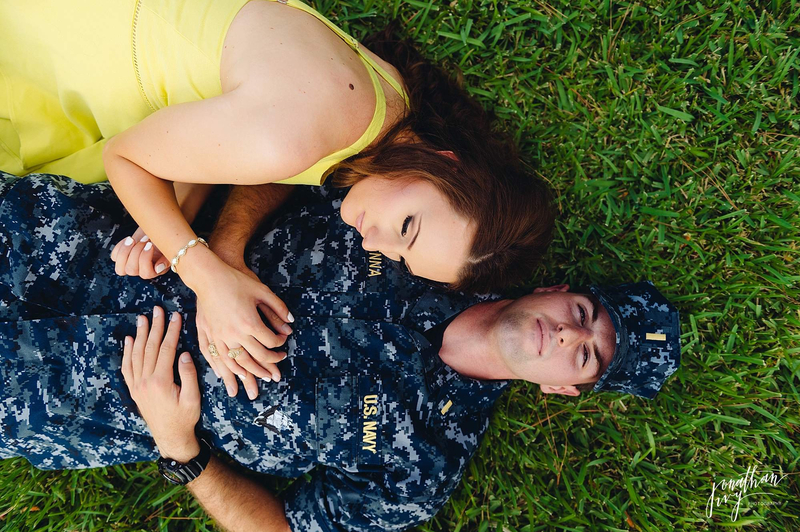 I think most girls agree that a man in uniform is pretty irresistible. 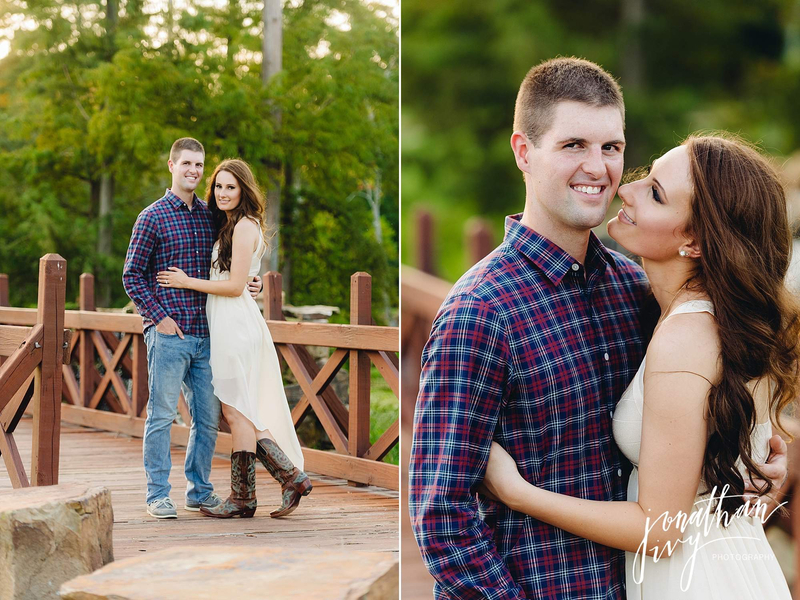 Add in this gorgeous bride and we literally have the perfect couple in the perfect photo! 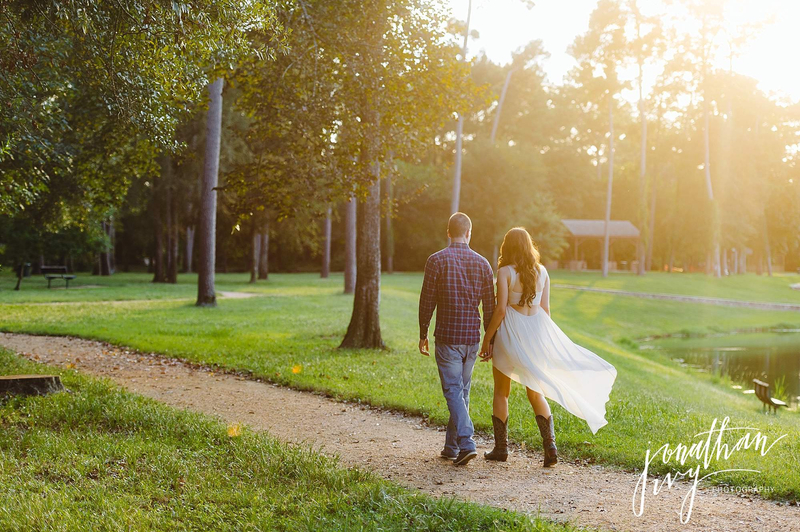 And, of course, this is Texas so a little sun flair and cowboy boots is always appropriate! 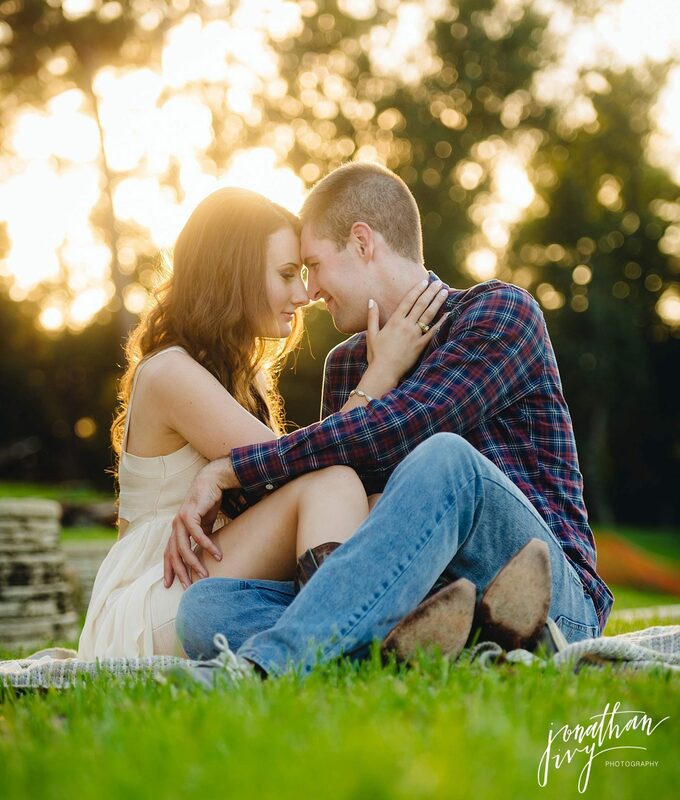 And this last photo is simply beautiful! It embodies all the sacrifice that has been made and that will be made by each of these people. Thank you Mckenna’s for all that you have done and all that you will do in service to us and our country! 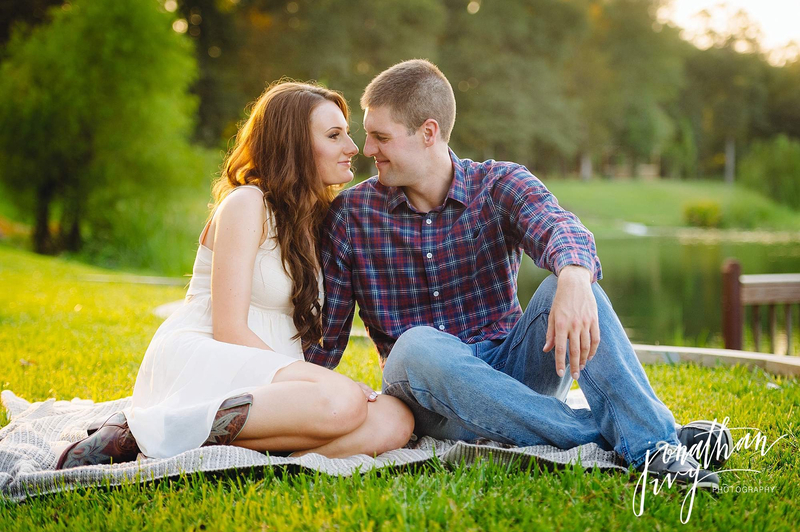 To see more of Jonathan Ivy’s San Antonio Military Engagement Photos please visit our site.